There is a lot of anxiety about who can call themselves a landscape architect and who cannot, and as a Registered Landscape Architect, I probably do weigh into the debate at times! But without being caught up in a lengthy discussion on titles I just wanted to reiterate the name of today’s post. 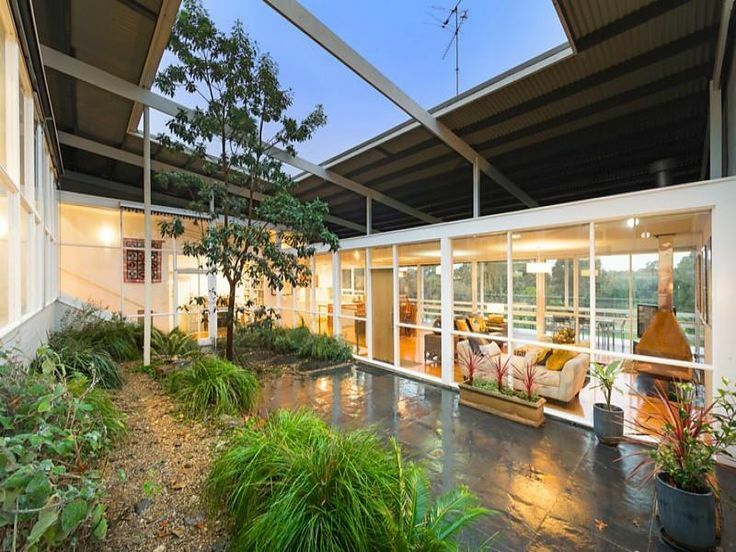 A recent realestate listing of one of Boyd’s designs in Ivanhoe has again revealed that while his buildings were thoughtfully designed and are now iconic examples of Australian architecture, Robin Boyd didn’t just stop at the built form. Boyd had a wonderful understanding of how to invite the outside elements into the home. His designs embrace gardens as part of the overall scheme and recognise that your home is not only bricks and timber, but the soil and vegetation that tie it to the natural environment. The courtyard is so often a dominant feature of Boyd’s work, creating internal views to private garden spaces (also see my post on courtyards). His own home in Walsh Street, South Yarra is the perfect example of this idea. The Featherston House is amazing. Who wouldn’t want their living spaces suspended over a lush garden bed?! I’m not sure that the clients were diehard plant lovers, or whether Boyd just had an idea that was a little different, but the result is quite amazing! Other examples from ‘Living in Australia’ show Boyd’s consideration of garden spaces around the entrance to a home. The Burgess House above features a bridge between the entry and carport crossing a sunken garden, while the house for Professor Zelman Cowen uses a garden entrance to access the living spaces from below. In the example below, Boyd created an amazing indoor garden in the place of a normal passageway for these holiday houses in Portsea (1968). So was Robin Boyd a landscape architect? Maybe not by official title, however with his designs he truly embraced the value of the landscape and the role it can play to enhance our homes! There are so many opportunities to bring your garden spaces indoors and this should definitely be considered by architects and building designers.